SUNDAY CLUB AND FYF Sunday Club and FYF are on holiday now and resume on 23rd April. There is a Crèche for pre-school children each Sunday morning. PASTORAL CARE If you need some assistance, why not give the Team a call. You can reach us either by contacting your elder or the coordinator, Janette Steele (01349 861591) and we will do our very best to help. Do allow time for arrangements to be made if you need to be taken to appointments. LADIES BIBLE STUDY Join the ladies on Wednesday 12th April to study God’s word. We meet at 1.30pm for approximately an hour. We continue the Lenten Studies about those “At the Cross” looking through the eyes of Thaddaeus: Finding Faith under Fire. Matthew 10: 1-8, 16-25 are the scripture passages to be read and studied. Do come along if you can. 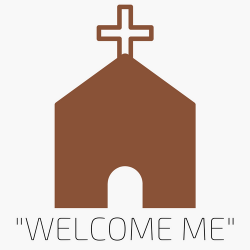 You will be warmly welcomed. HIGHLAND FOODBANK As you will be aware, some benefits are being cut and I’m sure this will make extra calls upon our local foodbank. Please be generous as usual and maybe , during this season of Lent, find that little bit extra to donate. Thank you. EASTER DAFFODILS It is hoped that there will still be daffodils around for decorating the church at Easter. If you can provide daffodils, glass vases or help in any way, the church will be open on Saturday 15th April from 10-10.30am. The daffodils will be uplifted for distribution following the 11am service on Easter Sunday. FELLOWSHIP OF THE LEAST COIN This fund is added to each time someone says a prayer and pops the least coin into a tub. The monies are then disbursed to women throughout the world in micro loans whereby they can become self supporting and thus pay for essentials for their families and also pay to educate the children. Ferintosh Parish Church has supported this charity for many years and the sum sent off at the end of this financial year is £131.83 – a truly generous sum which will help the most needy. Thank you very much indeed. However, prayers continue to be said and coins to be collected. Start saving them now for next time!